Google’s search activity tracking platform, Google Trends, has been redesigned and some new features have been added to it, which now make it easier to navigate through its UI, discover content and find the relevant tools to check search activity on a global or local scale. The redesign focuses on supplementing search figures with editorial or curated content, and also introduces a new way to visualize search activity data in the form of ‘Intensity Maps’. A prominent change brought by the redesign is the availability of a real-time search trend option in the ‘Trending searches’ section, which now allows users to select between two parameters- Daily search trends and real-time search trends. Moreover, a dedicated section will now catalog Google Trends data stories curated by Google’s News Lab team on a wide range of topics. Additionally, it is now easier for users to go through search data dating as far back as 2001 to study the search trends related to a particular personality or event. Intensity map is the most notable change brought by the redesign, which as the name suggests, allows users to study the intensity of search results on a geographical basis, which can be narrowed down from a global perspective to city or state-wide search figures. Moreover, if you want to compare the search traffic associated with two or more people/events, you can do that too. The comparison data will be presented in a graphical form, as well as in the form of an intensity map, alongside a toggle to switch between the search data view for the events/personalities being compared. Here’s how it looks. 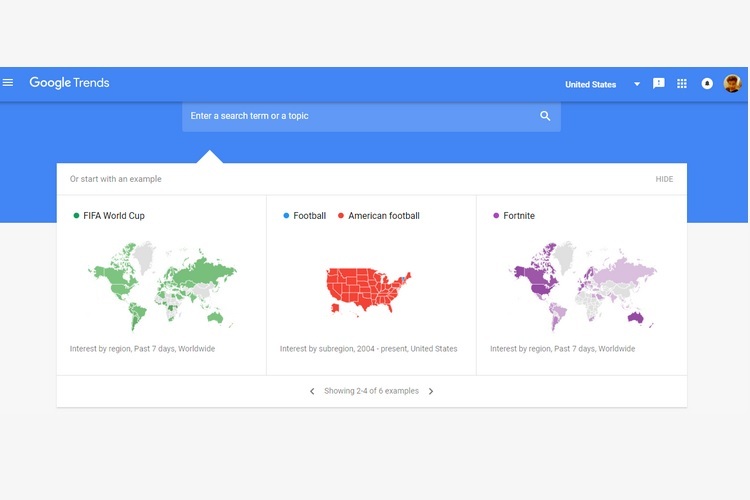 Older features such as the daily Trends section and the Explore page are still there, so you won’t feel a drastic difference in how Google Trends looks and works compared to the older interface following the redesign.